I’ve read about AV2 for a while, how is AV2 MIMO better than existing HomePlug AV and AV2 products? The short answer is improved quality of service (QOS) and coverage to all areas of the home. The existing HomePlug AV and AV2 products use 2 wires (hot and neutral) and can be referred to as “SISO” (for single-input / single output). AV2 MIMO with beam forming uses those 2 wires plus the ground to greatly increase the reliability of high-bandwidth service to all areas of the home by a factor 2 to 4 times as compared to earlier technology (MIMO stands for multiple-in / multiple out). But I thought that existing HomePlug AV and AV2 products provided reliable high bandwidth throughout the home? That is correct. HomePlug AV and AV2 SISO provide reliable connectivity throughout the home by transforming the electrical wiring into an Ethernet network (no new wires are needed). Each of those specifications made improvements over their predecessors. HomePlug AV2 MIMO is the next big step in that progression, and improves on those very good solutions. AV2 has been advertised as Gigabit-class networking. Does AV2 MIMO have higher data rates? Gigabit class refers to the raw data rate at the physical layer (PHY): HomePlug AV has a 200 Mbps PHY rate, and AV2 SISO has a peak PHY rate of about 1.8 Gbps. The PHY rate for AV2 MIMO is also 1.8 Gbps., BUT it should also be mentioned that application throughput for any networking technology (wired or wireless) can be quite a bit lower than the PHY rates due to overhead for error correction and impairments due to noise or interference in the medium. AV2 MIMO increases the application throughput by 2-4X over earlier HomePlug AV and AV2 SISO technologies. So which HomePlug technology is right for me? HomePlug AV, AV2 SISO, and AV2 MIMO will all deliver reliable high bandwidth service to your home. If you have a very large house with long distances from your router, or need to deliver multiple HDTV streams to all areas of your house, AV2 MIMO will deliver the highest quality bandwidth for the best viewing experience. Should I replace my existing HomePlug adapters with AV2 MIMO adapters? AV2 MIMO is a next generation technology that can help fulfill the networking demands of new, high bandwidth applications such as 4K Ultra HD video. Also, if a user is experiencing a bandwidth limitation, an upgrade to AV2 MIMO might be a good investment. As stated previously, all HomePlug technology will deliver reliable home networking solutions; AV2 MIMO just makes a very good solution even better. How much performance increase can I expect to get with AV2 MIMO? We are seeing 2-4X improvement over previous HomePlug standards. What you see in performance improvement might vary a little depending on what generation of HomePlug technology you are currently using, and the type of wiring is in your home. Will AV2 MIMO interoperate with earlier HomePlug technology? Yes, all HomePlug devices with the HomePlug Certification Logo are interoperable, including HomePlug AV, AV2 SISO, AV2 MIMO, and HomePlug Green PHY. There has been a lot of talk about “hybrid home networks” and the “Internet of things.” How does HomePlug fit into all that? Regarding hybrid networks, HomePlug is a key sponsoring organization for the nVoy Program which will provide interoperability certification for the IEEE 1905.1 standard. nVoy technology is a software layer that helps to orchestrate hybrid home networks, for example, HomePlug and Wi-Fi working seamlessly together. Regarding the “Internet of things,” there is an increasing trend to embed HomePlug Green PHY and HomePlug AV technology directly into devices to provide true “plug and play” connectivity. Already, HomePlug technology is built in to electric vehicles from BMW, Chevrolet, and Volkswagen. In Asia, there are CE products such as smart TV’s, air conditioners and refrigerators that have HomePlug inside. In a nutshell, HomePlug can serve as an ideal backbone technology to connect many different devices on an integrated home network. How much will it cost to set up a HomePlug network? The retail prices for various versions of HomePlug technology range from about $40 to $120 for a pair of adapters, with HomePlug AV products now being the entry level and AV2 MIMO available as a premium option. There are also many products that combine HomePlug and Wi-Fi together to add additional “hot spots” to a home network. Since 2002, Rob Ranck has supported the HomePlug Alliance as its Executive Director, becoming President in 2008. 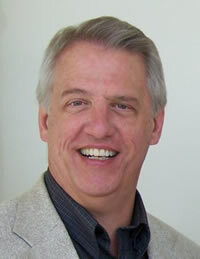 In addition to his in-depth knowledge of technology consortia and the development of industry standards, he has over 25 years of experience in the technology sector in marketing, business development, product engineering and business operations at Intel, AT&T, and NCR as well as several start-up companies. The HomePlug® Alliance is a group of about 55 companies working together to develop technology specifications and certification & logo programs for powerline networking. With over 125 million devices in the market, HomePlug products are used worldwide by consumers and service providers to improve home networking performance while expanding coverage and Wi-Fi mobility. HomePlug technology enables a home's electrical wires to distribute broadband Internet, HD video, digital music and smart energy applications within the home, as well as enables narrow-band communications outside the home. Sponsor members include Broadcom Corporation (NASDAQ: BRCM); Cisco (CSCO); Duke Energy (NYSE: DUK); MStar Semiconductor Inc.; and Qualcomm Atheros, a wholly owned subsidiary of Qualcomm Incorporated. "HomePlug" is a trademark of the HomePlug Powerline Alliance, Inc. in the U.S. and other countries. Other names and brands may be claimed as the property of others.